NONE BETTER!!! 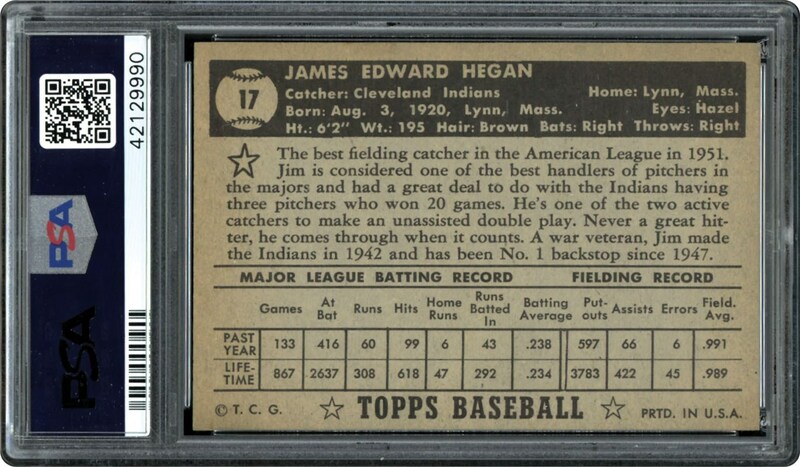 Black Back variation of Jim Hegan with nothing grading higher of this 1952 Topps low number card. Get the best here. 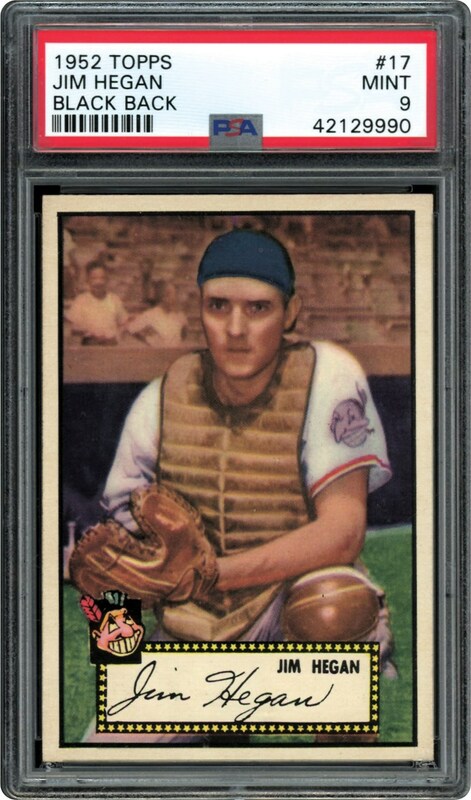 Don't miss this POP 4 example!! !